TUESDAY, June 13, 2017 (HealthDay News) -- Even as U.S. Senate Republicans hammer out a bill to replace the Affordable Care Act (ACA) this week, a deadline looms that should reveal what insurance plan options and premiums millions of Americans might face next year. 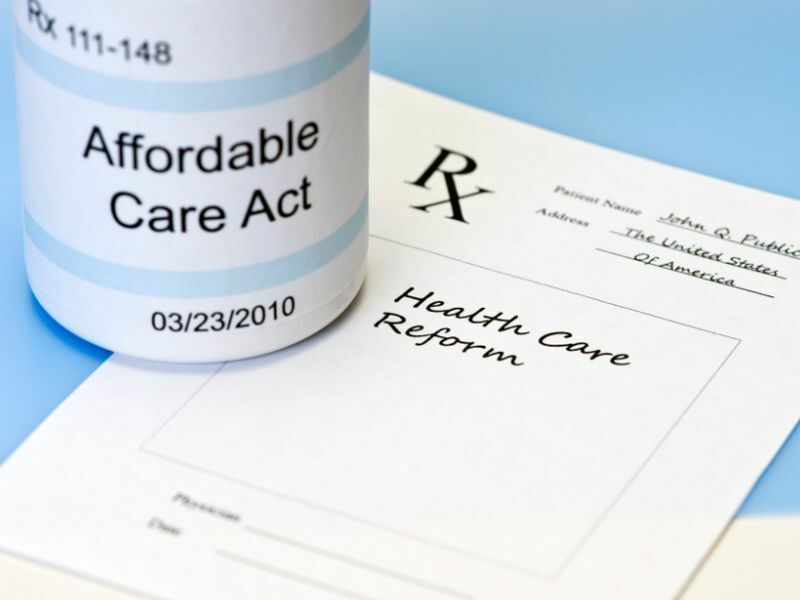 In the coming days, insurers in some ACA ("Obamacare") marketplaces could decide not to participate, limiting consumer choices in some markets and boosting rates for some, health policy and financial analysts say. "You'll have many folks with fewer plan choices, higher prices and then, of course, in the worst case, no coverage at all," Sabrina Corlette told reporters during a Commonwealth Fund briefing Monday afternoon. She is a research professor at Georgetown University's Center on Health Insurance Reforms. Already, insurers in a number of markets across the country have decided to pull up stakes. To date, 38,000 consumers in 47 counties across the country may be at risk for having no option for health insurance under the Obamacare marketplaces, she said. Just last week, Anthem Inc., one of the nation's largest health insurers, said it would stop offering ACA coverage in Ohio next year. The move will leave more than 10,000 customers in one-fifth of the state's counties with no insurer under the health care act that was signed into law by President Barack Obama in 2010. For most insurers in most states, June 21 is the deadline for submitting documents to state regulators about whether and where they will participate, and how they'll set premiums, Corlette explained. That gives regulators time to look at insurers' proposed rates, "and some states will push back if needed -- if they think a rate increase is unreasonable," she added. "By August 16, the rates are effectively locked in." However, ongoing litigation over billions of dollars in payments to health insurers could play into insurers' decisions about 2018. A lawsuit brought by the U.S. House of Representatives during the Obama administration challenges the legality of these so-called cost-sharing reduction payments, which help make Obamacare coverage more affordable for low-income Americans. The court case has been delayed until August 20 -- four days after the rates are locked down, Corlette said. Many major insurers have already submitted proposed rate changes that hinge on those cost-sharing reduction payments continuing into 2018, she said. If those payments do not continue, insurers may revisit their participation. Another big unknown is whether the Trump administration will continue to enforce the Obamacare mandate requiring most individuals to have health insurance or pay a fine. As a result, some insurers are predicting that the overall sickness of the people they insure will increase, Corlette said. September 27 is the deadline for insurers to sign contracts to participate in the 2018 marketplaces, Corlette said. Open enrollment for 2018 begins November 1. A number of factors play into the rate changes insurers are proposing. One major driver for 2018 is the underlying growth in health care costs. Insurers may assume that these costs are trending upward by 5 percent to 7 percent, said Cori Uccello, a senior health fellow at the American Academy of Actuaries. The trend in prescription drug costs is expected to be a bit higher -- in the 6 percent to 9 percent range, she said. Proposed premiums will also depend on insurer assumptions about recent regulatory changes. Those changes include a shorter open-enrollment period for 2018 than in past years. They also include tighter rules for special open-enrollment periods occurring during the year -- for example, when a family has a baby or a spouse loses a job and no longer has health insurance. More than 80 percent of consumers who buy ACA coverage via the federal and state marketplaces qualify for federal tax subsidies to lower their monthly health plan premiums, added Sara Collins, vice president for coverage and access at The Commonwealth Fund. "That's going to shield them from large increases this year," Collins said. However, roughly 1 million people on the federal marketplace do not receive those subsidies and will see large increases next year, she added. Uccello suggested that consumers shopping on the marketplace in 2018 may want to shop around for a better deal and pay attention to the range of options being offered. SOURCE: June 12, 2017, teleconference with Sara Collins, Ph.D., vice president for coverage and access, The Commonwealth Fund, New York City, Sabrina Corlette, J.D., research professor, Center on Health Insurance Reforms, Georgetown University Health Policy Institute, Washington, D.C., and Cori Uccello, senior health fellow, American Academy of Actuaries, Washington, D.C.